The main purpose of this colon cleanse diet is to eliminate, in a relatively short period of time, all the toxins accumulated in the colon. It also improves the absorption of nutrients into the body without any kind of medications or drugs. You can flush out up to 20 pounds of toxins by following this diet for 3 weeks. Also, your weight loss process (if any) will get a significant boost. This colon cleanse diet is as easy as switching your regular breakfast with a mixture of flaxseed and kefir. If you follow this process every morning for a period of 3 weeks, you can eliminate up to 20 pounds of toxins from your colon. Blend together 1 tbsp of flaxseed flour and 100 ml of kefir. Drink it every day first thing in the morning, instead of breakfast. Maintain this program for an entire week (7 days in a row). In the second week you should add another tbsp of flaxseed flour to the mixture. So you’ll have to blend together 2 tbsp of flaxseed flour and 100 ml of kefir. Again, this mixture should replace your breakfast every morning for 7 days in a row. In the last week you’ll cleanse your colon more aggressively, adding more flaxseed flour and more kefir to your morning routine. In the last 7 days you should blend together 3 tablespoons of flaxseed flour and 150 ml of kefir. Devour this blend for an entire week and you’re done. You should eliminate up to 20 pounds of toxins within 3 weeks with this simple and easy colon cleanse diet. DOUBLE UP: Repeat the process in the evening too, before going to bed, for the entire 3-week period, and you’ll flush out even more toxins (up to 30 pounds) from your body. FAT BLASTER: Use this colon cleanse diet along with the One-Pound One-Day Diet to insanely boost your weight loss process. Instead of two 200-calorie meals (one in the morning and one in the evening), use 2 mixtures with kefir and flaxseed. This is the total body cleanse! 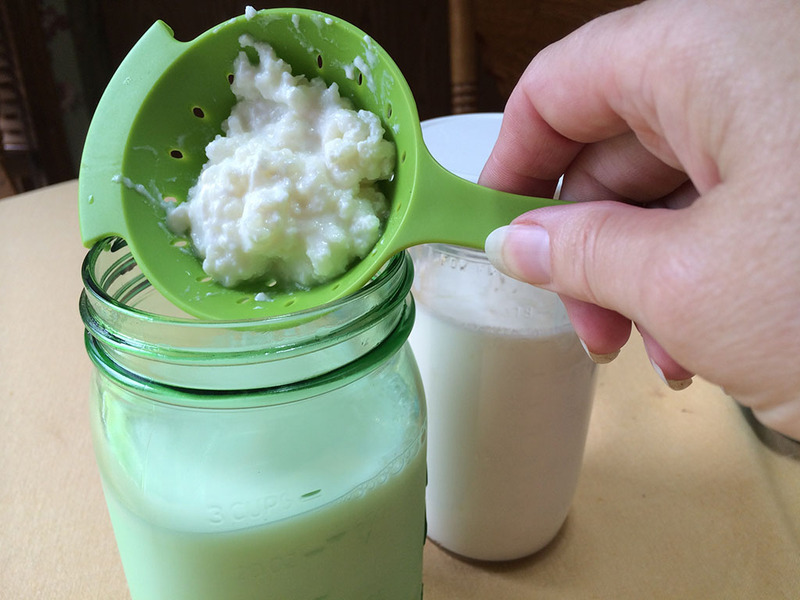 Important: If you’re new to fermented products such as kefir, you should take a break (1-2 days) in between phases. This will help your body to adapt to this colon cleanse diet. Important: Drinking 8 glasses of water per day is mandatory for this colon cleanse diet. In order to flush out toxins from your body, you need to get in enough water. Important: It’s enough if you follow this colon cleanse diet once per year. More than once can be overwhelming for your body and you don’t want to force it. At least 30 minutes of walking per day can stimulate digestion and speed up the cleansing process. Choose only organic products if you want best results. You can help your body to flush toxins out naturally, through the lunges, by 5 minutes of deep breathing every day. Why Is This Colon Cleanse Diet So Powerful? This colon cleanse diet is so popular because of its simplicity. It’s really simple to prepare the mixture because it contains only 2 ingredients and it doesn’t require any special tools or skills. It is also incredibly easy to stick with, since the only thing you have to do is to drink less than a half glass of mixture every morning. Easy peasy, right? OK, so what makes it more powerful than any other colon cleanse diet out there? It’s the two superfoods: kefir and flaxseed. 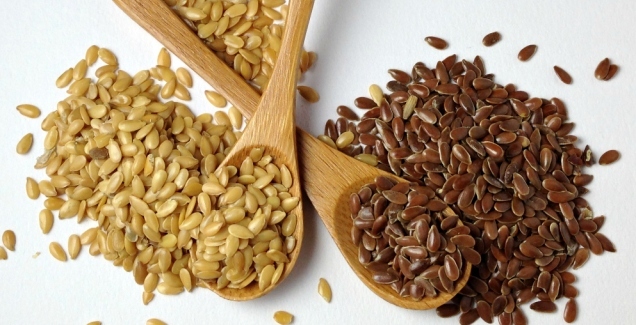 Even though it’s a tiny seed, flaxseed is known to help reduce the risk of complicated diseases, such as cancer, diabetes, stroke and heart disease. Fiber – both the insoluble and soluble fiber. Omega-3 essential fatty acids – 1 tbsp of ground flaxseed contains about 1.8 grams of plant omega-3s. Lignans – contains 75 to 800 times more lignans than any other edible plant on the planet. For this colon cleanse diet you can use flax seed flour (get it from Amazon), or you can get some simple flax seeds (get it from Amazon) and grind them nicely. You can also find flax seeds in almost any wellbeing store near you. Protein – 6 grams of protein per 100 grams of kefir. Probiotic organisms – that cleanse the intestine, balance the intestinal flora and destroy pathogens such as E-coli and parasites. Many essential amino acids, B vitamins and minerals. Kefir boosts the immune system and it helps to restore the digestive system. It also relieves inflammatory bowel disease. For this colon cleanse diet you should use plain certified organic kefir. I recommend you to prepare the kefir by yourself, at home, from milk kefir grains (which can be bought from a local wellbeing store, or you can get it from Amazon). Why Do You Need A Cleanse? Too much of anything can make you sick. Did you know that more than 100 tons of all kind of food passes through your intestines during your lifetime? In fact, right now in your intestines could be accumulated 30 to 40 pounds of toxins (faecal deposits). So you may not need a cleanse, but your colon definitely needs it. When Do You Have Too Many Toxins In Your Body? Suffering from any of these symptoms doesn’t necessarily mean that your body needs a colon cleanse. But the chances are you will feel way much better after 21 days of cleanse. It’s not that hard to achieve a healthy and toxin-free life. You just need to find your balance and to maintain it. This 21-day colon cleanse diet followed once a year also helps a lot. What if you cant have dairy?